It doesn’t matter if your hero is from the movies, sports or fashion. Everyone gets inspired by someone’s attitude or ideas and I bet you would love to meet your idol in person, take a selfie, maybe even share a meal with him or her. The Italian writer Claudio Magris became one of my heroes after I met him many years ago in Brazil. He was releasing his book Danube, a very personal and historical narration of his trips along the European river that crosses many different landscapes, cultures and conflicts. I was still working as a reporter for public radio. My interview with him, more than an assignment, became a revelation. 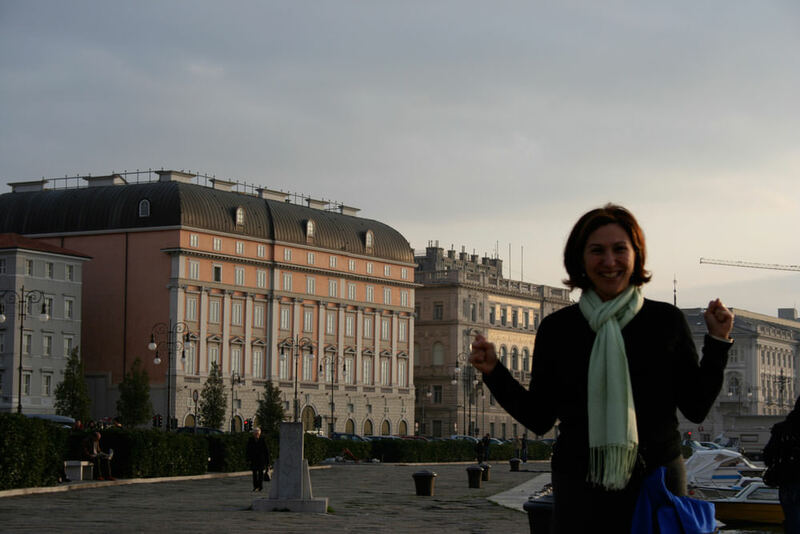 Would you get on a plane and cross the Atlantic to walk the same steps as your literary idol? I did! Claudio Magris is from Trieste, on the Northern tip of Italy, a city that was part of the Austro-Hungarian empire as much as it is Italian with a strong Slavic flavor. He wrote many of his essays, articles and books sitting at a special table in the ancient Caffè San Marco, at Via Cesare Battisti. I was too shy to inquire the waiter about Magris when I visited the San Marco, even if I was dying to find out. After devouring most of his books and after a brief period of exchanging letters with him, here I was in a fan tour of his hometown, the place that inspired him to become an incessant traveler. He is the kind of travel writer I always wanted to be, and during those two memorable interviews we had back in Brazil, he made me understand why I was so eager to hit the road. His ideas shaped a lot of my world as a writer and traveler. “Every time you visit a place you trace a new journey inside yourself. It doesn’t matter where you go, you never come back the same, and nobody will do the same trip as you do.” I still have this sentence with his voice in an old tape recorder. Trieste fascinated me. It’s the city of Italo Svevo, another giant in Italian literature who brought Freud’s scientific discoveries to fiction. It also sheltered the poet Umberto Saba, whose old store, Umberto Saba Antiquarian Bookshop, still exists on Via San Nicolò. 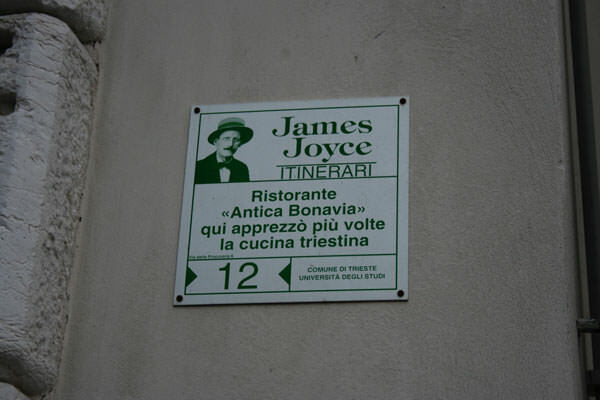 James Joyce chose to exile himself in Trieste from 1904 to 1920, when he left Dublin for this cosmopolitan port of the old Austro-Hungarian Empire. Joyce wrote most of the stories in Dubliners while living there, and that’s where he started to write Ulysses. 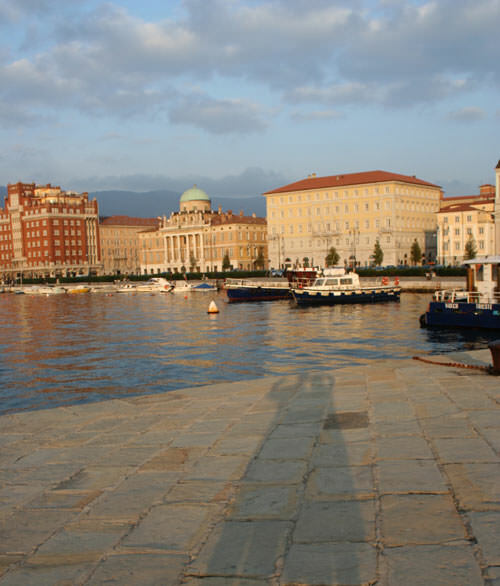 Nothing could say more about Trieste as a city with a traveler’s soul. During my long walks around Trieste I thought that maybe in fifty years there will be a “Claudio Magris Tour”, as there is one now for Svevo and another for Joyce. For the moment, the best is to sit at Caffè San Marco and wonder where he would be spreading his papers, his notebook, ordering a cup of coffee or German beer. I didn’t bump into him in the cobbled streets around the University where he used to teach. On the plane, on my way back to Rome, I was happy with a sense of accomplishment. As the plane took off I told myself that probably Magris was not even in Trieste at the time. He might well be in a conference in New York, just a few miles from my own front door.